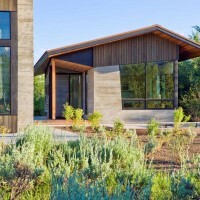 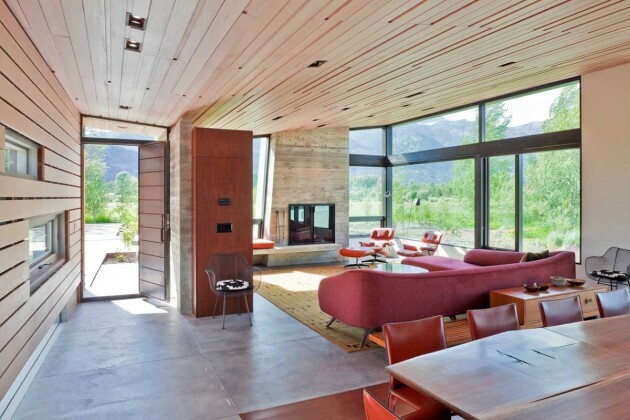 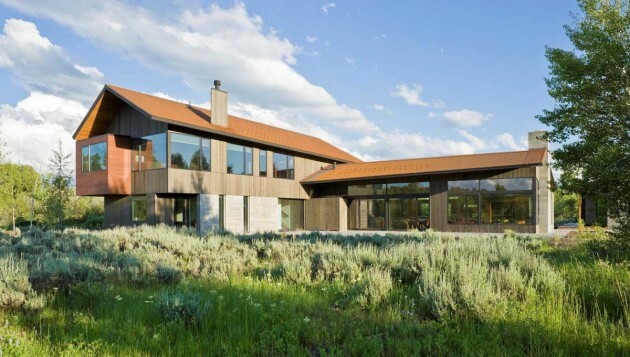 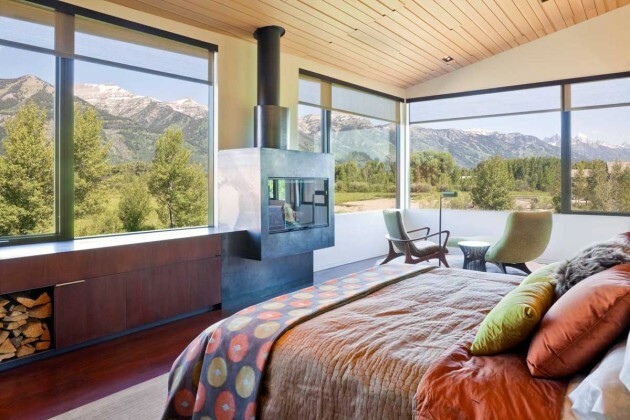 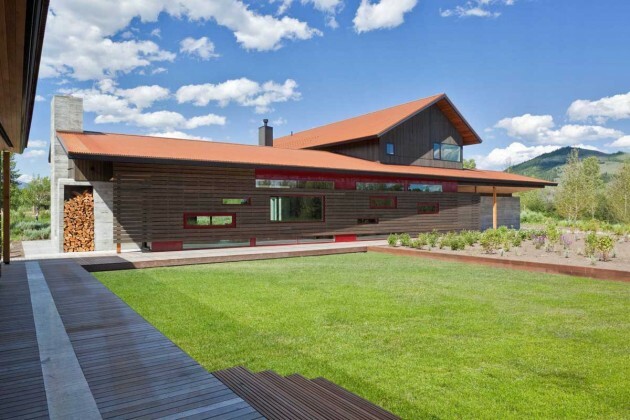 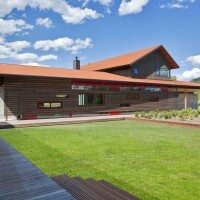 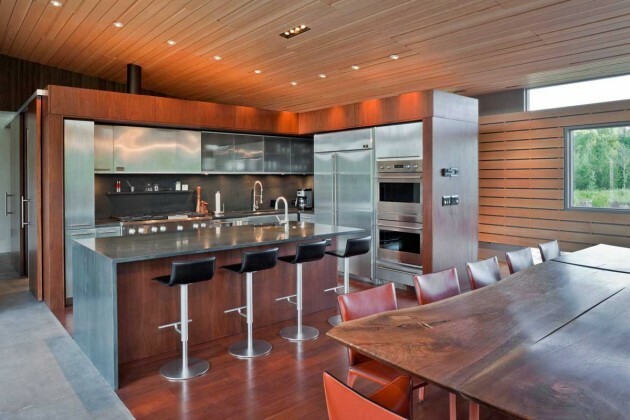 Dynia Architects designed the John Dodge Residence, a contemporary home and guest house in Jackson, Wyoming. 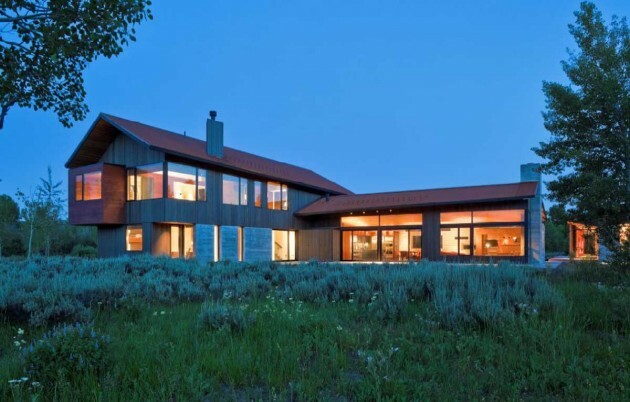 Located near the foot of the Teton Mountains, the site and a relatively modest program with a desire for intimate scale, led to placing the main house and guest quarters in separate buildings configured to form outdoor spaces. 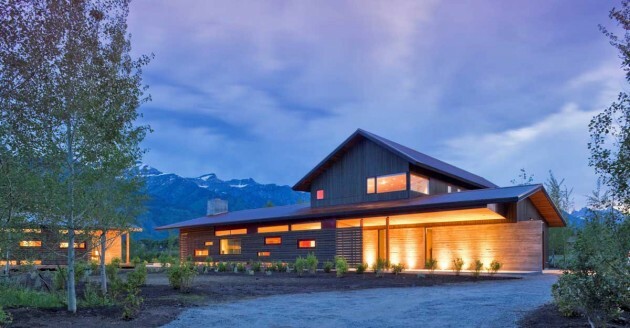 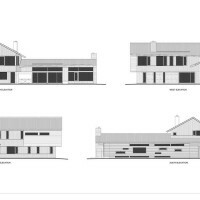 With mountains rising to the northwest and a stream cutting through the southeast corner of the lot, this placement of the main house and guest cabin distinctly responds to the two scales of the site. 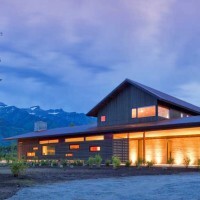 The public and private wings of the main house define the exterior space to the northwest, which is visually enclosed by the prominence of the mountains beyond. 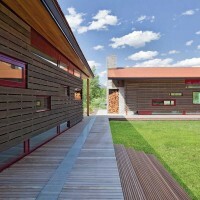 At a more intimate scale, the garden walls of the main house and guest cabin enclose the entry court to the south east. 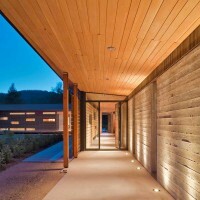 The long drive opens onto the intimate entry court. 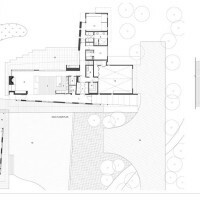 A concrete wall which extends into the landscape marks the entrance and defines the major circulation spine of the house. 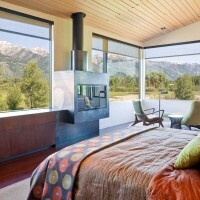 Public spaces open off this axis toward the views to the mountains. 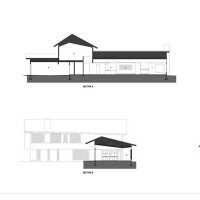 Secondary spaces branch off to the north and south forming the private wing of the main house and the guest cabin respectively. 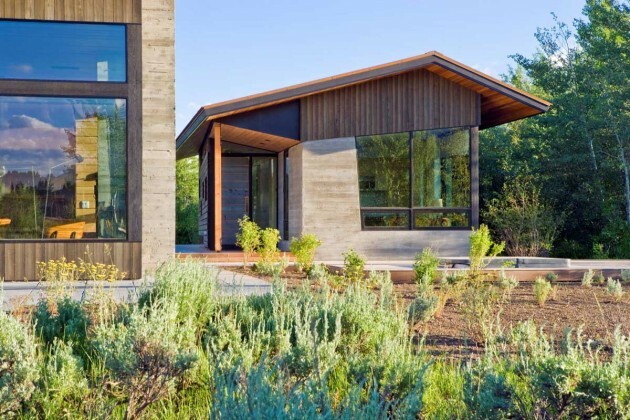 With regulation restricting the roof forms, the structural trusses are shaped to lift the ceiling planes toward light and the views of the landscape. 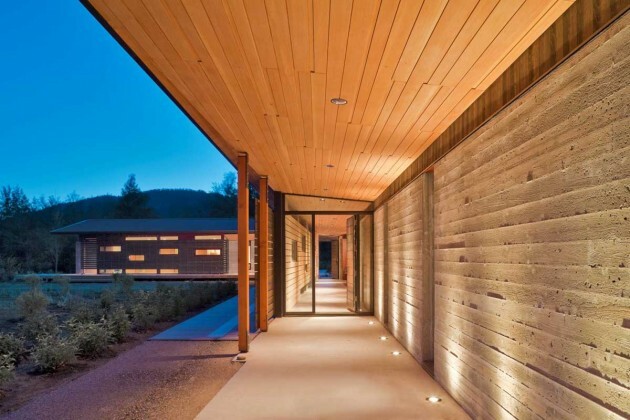 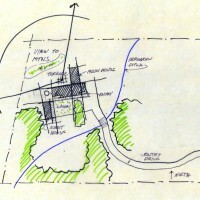 The placement of the buildings, as well as their enclosure, one’s perception of interior space extends to the exterior and the landscape, blurring the distinction between the two.